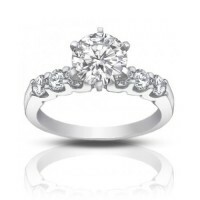 The epitome of romance, this diamond engagement ring has eight diamonds flanking the center stone so.. 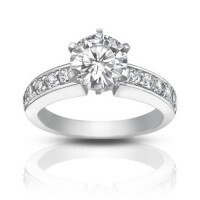 This 14K Gold Four-Prong Solitaire Engagement Ring weighs approximately 5.00 grams and showcases a 1.. 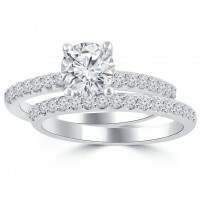 This charming engagement ring features 1.25 carats of sparkling diamonds! 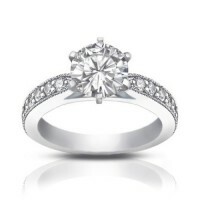 The 0.75 carat center diam..
Classic, simple perfection. 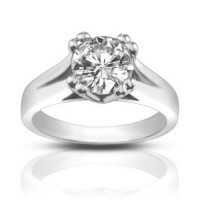 The stunning round 1.33 ct. solitaire at the heart of this 14 K white go.. 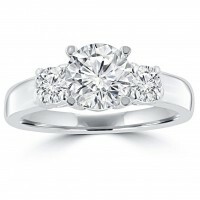 This charming engagement ring features 1.35 carats of sparkling diamonds! 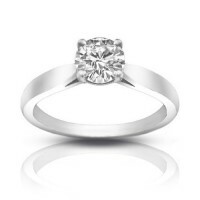 The 0.75 carat center diam.. 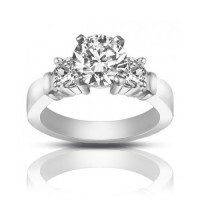 This luxurious diamond engagement ring has a vintage look because of the millgrain details along the..